JBM is an evidence-based medical marketing consultancy founded as JB Medical in 1997, and based in the UK. We employ research and health economics to successfully market your product and disease area through appropriate communication channels. The breadth of our professional skills and services provide continuous support throughout the product life-cycle. 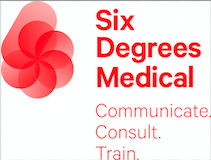 Direct and personal contact with medical professionals ensures you will benefit from a marketing perspective that is unique within the consultancy sector.